“I am making about 17 or 18 knots of boat speed, and another little front came in a while ago so it is pretty fast. Aina has just passed in front of me just on the other gybe. I expect this will go on to the finish line. Every time we race each other we go right to the wire. He has a very fast boat, is a good skipper and knows the boat very well. “It’s been pretty tough trying to get the boat to the speeds of the Mach 3 (Aina) in the conditions we’ve had over the last couple of days. I’ve been trying a few different tactics to bypass this, it’s more work, very frustrating at times, but it’s a race and I have to fight. 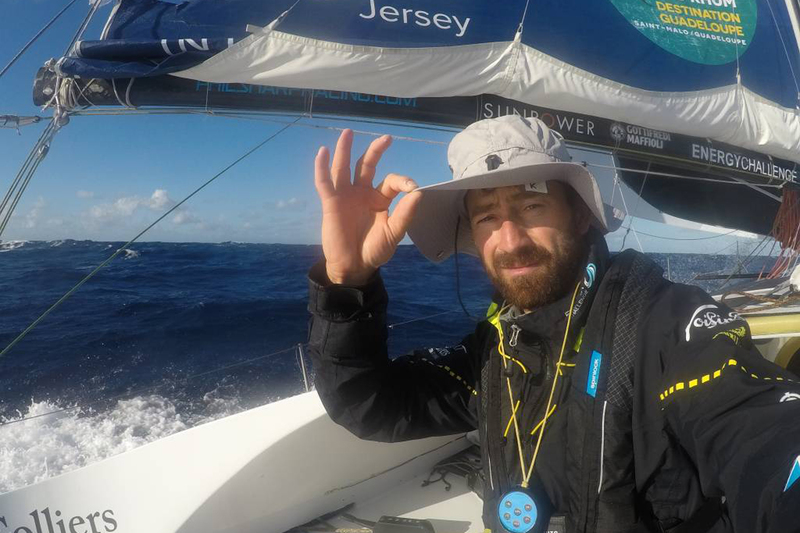 “I think it will be a close finish, but we will see, I really would like to put some miles on her before Guadeloupe. In reality it might not go that way but it is a good battle.